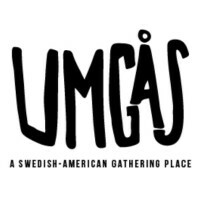 NEW YORK – The Umgås team recently traveled to New York City to cover the 2018 Nordic International Film Festival at the Scandinavia House. During the five-day festival, we caught a few films, interviewed directors, actors and producers, and of course, explored all the Swedish things the city has to offer. From where to eat, drink and shop to hubs for escaping the busy city or meeting fellow Swedish-Americans, expats, Swedish enthusiasts and the like, we did it all. 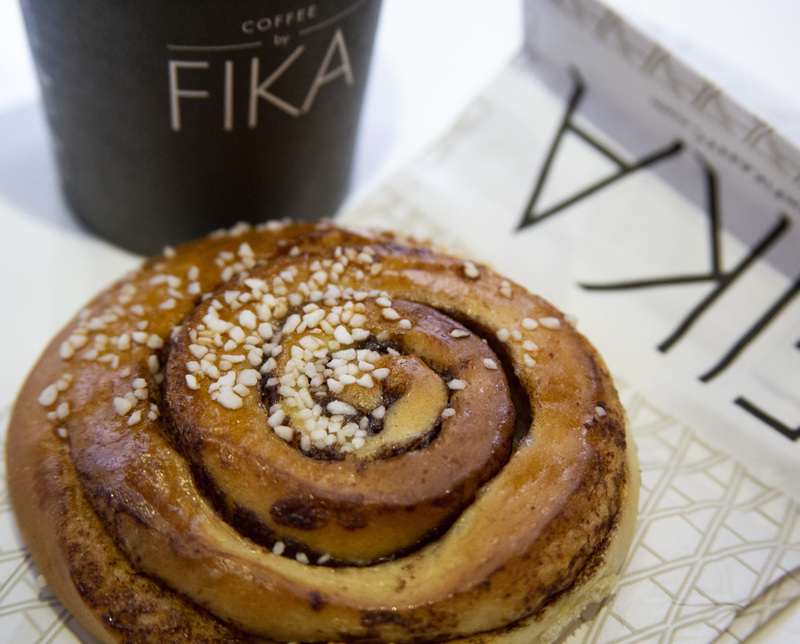 Whether you’re in need of some quick caffeine on the go or you’re simply meeting a friend for a fika, FIKA is the place to go. Inspired by Swedish traditions, FIKA has several locations throughout the city ranging from sit-down restaurants offering a full menu of breakfast, lunch and brunch to tiny, in-and-out shops. But classic sweets like cinnamon buns topped with pearl sugar and chocolates are always on the menu. 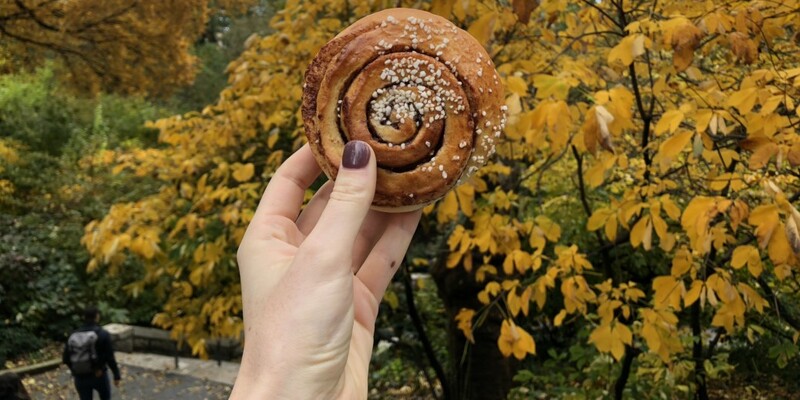 We stopped by and the FIKA on 7th Avenue, just blocks from Central Park for a quick coffee and cinnamon bun before strolling through the park. Located in the lobby of Scandinavia House, Smörgås Chef was a delicious and easy dinner choice. The menu offers “New Nordic Cuisine” and classics like open-faced sandwiches, 72-hour aquavit-cured , herring and Swedish meatballs. For dessert, we enjoyed a slice of Princess Cake and heart-shaped waffles topped with wild strawberries, jam and whipped cream. We highly recommend this Scandi restaurant. The food is fantastic and you can check out Scandinavia House’s current exhibitions afterward. When an opportunity arises, you seize it. And for us, that meant treating ourselves to lunch at Aquavit, proud owner of two Michelin stars. The upscale establishment offers award-winning Scandinavian cuisine from Swedish chef Emma Bengtsson. The menu offers truly authentic Swedish cuisine, including gravlaks, shrimp skagan and a large variety of house-infused aquavits to choose from. 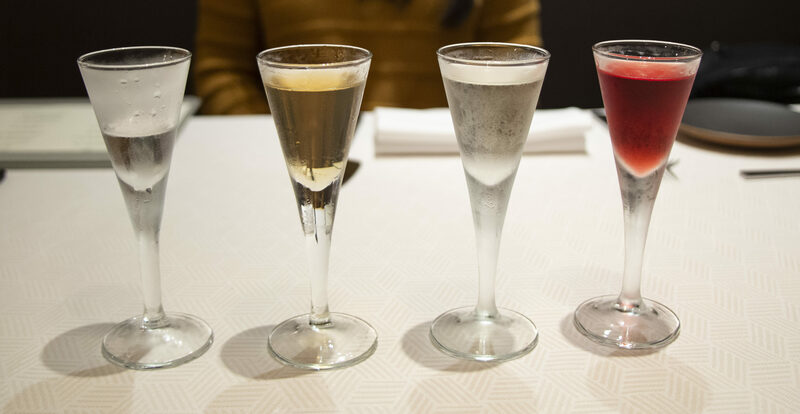 From the food to the flawless service, Aquavit is an experience everyone should have on their bucket list and is at the top of our Swedish recommendations in New York. But be sure to book a reservation in advance. The best shopping is in New York City, so naturally our team did just that. Our first stop was in Herald Square to visit the world’s largest H&M. Then we headed across town to Lower Manhattan to pop into three Swedish shops located around the intersection of Greene and Grand streets: Fjällräven, Acne Studios and Hästens. We can’t forget Happy Socks, which was right around the corner from those three (and much more affordable than the other shops). 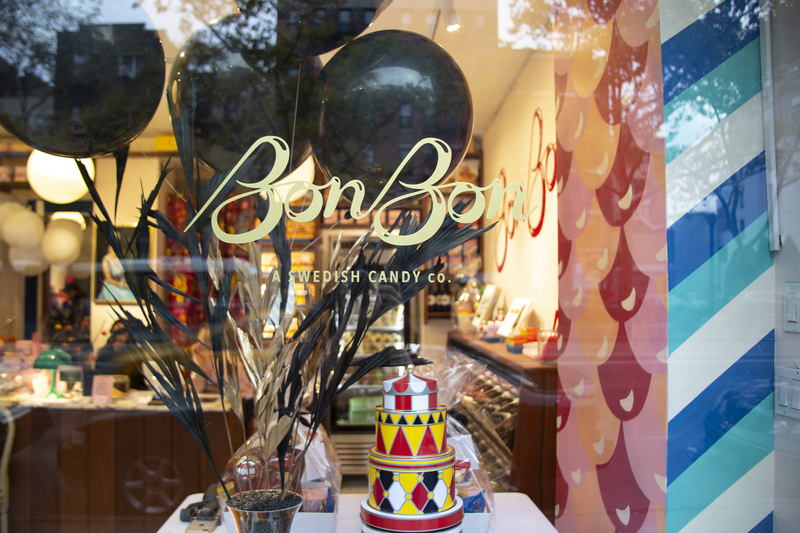 While clothes shopping is fun, some of our favorite shopping involved shopping for candy, and New York City boasts two Swedish candy shops: BonBon and Sockerbit. 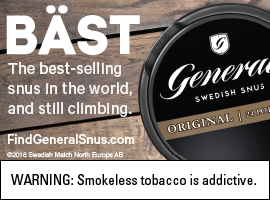 Both shops offer similar classic Swedish sweets – from sours to gummies to chocolates. And yes, licorice. Lots of salty licorice. New York’s Swedish-American Chamber of Commerce is making it even easier for Swedish expats to get a head start chasing down the American dream. 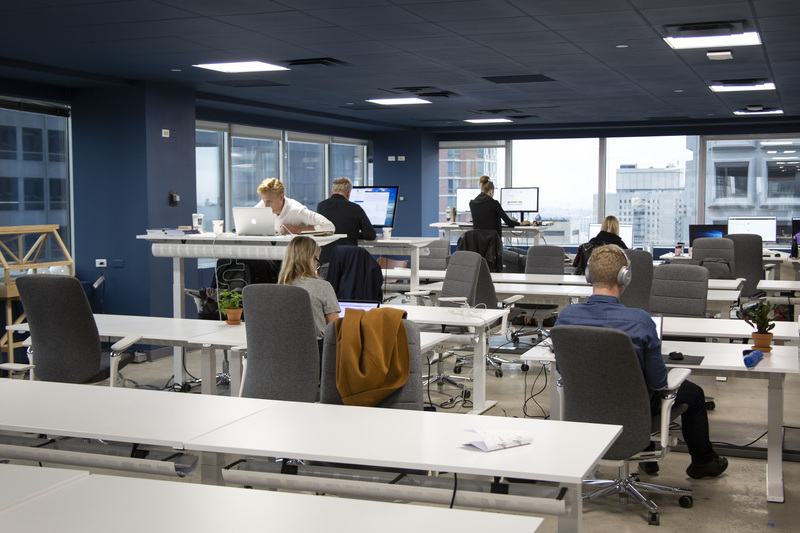 Gateway is an innovation center in Midtown Manhattan that functions as a coworking space for Swedish individuals and offers members countless services from legal counseling to networking to business matchmaking. We stopped by the beautiful new space while it was still under construction, so we can only imagine how great it’s going to be when it’s complete. Reach out to gateway@saccny.org to request a tour, and if you are a Swede with an entrepreneurial spirit living in NYC, stop what you are doing and sign up: These guys know what they are doing. Perhaps one of our favorite stops on our trip was a visit to the Church of Sweden (Svenska kyrkan). During our trip, we looked for the Swedish flag when trying to find our destinations, and the church was no different. Tucked in an unassuming spot on 48th Street, the familiar blue and yellow flag was our signal yet again. The Church of Sweden offers Lutheran church services every Sunday and Thursday. But in addition, it functions as a gathering place for all – Swedish or not. 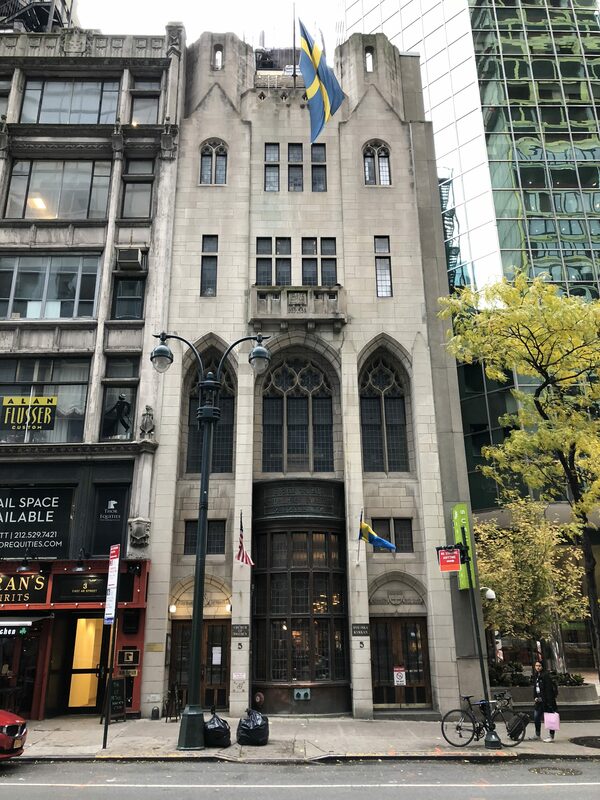 Downstairs from the chapel is a library full of Swedish books for adults and children, tables for gathering, congregating after service or coming in from the chilly New York air and a kitchen with Swedish pastries, coffee and sandwiches available for purchase at affordable prices. The church is comfortable, cozy and quaint, and everyone was so welcoming. Stopping in for fika and Sunday service is an absolute must. Nordic films, exhibitions, lectures, concerts and more. That’s what you’ll get if you stop by Scandinavia House. Scandinavia House is the headquarters of The American-Scandinavian Foundation and the site of its cultural and educational programming. While we were in town, Scandinavia House was hosting the Nordic International Film Festival, but check out its calendar to see what it has scheduled for when you’re in town.